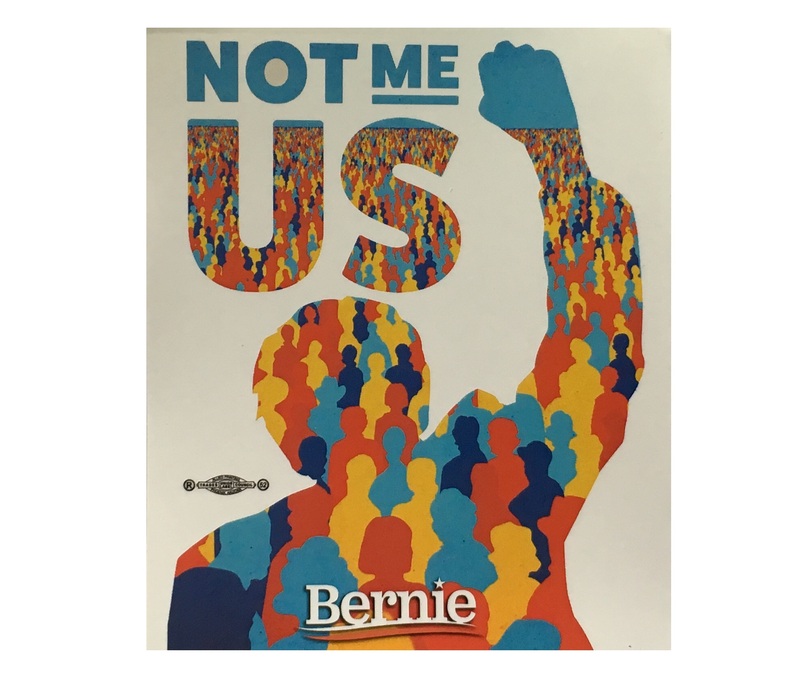 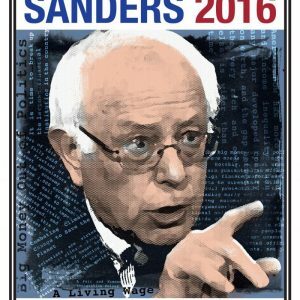 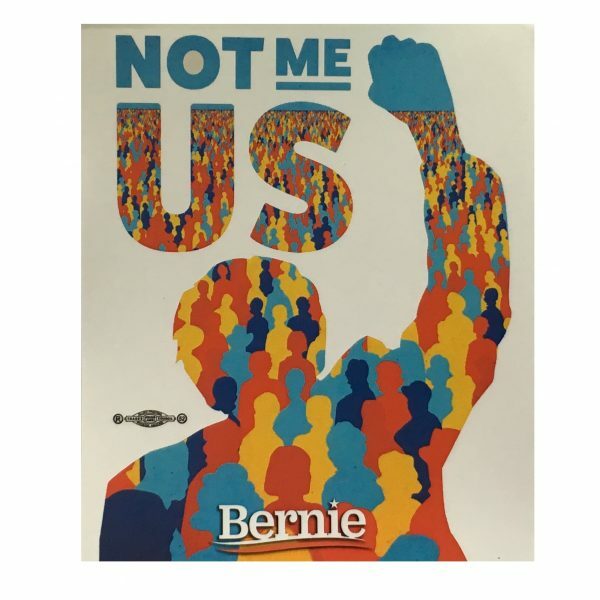 Bernie Sanders Not Me Us Bumper Sticker (BS-ST-2020-001) that measures 3.75″ x 4.75″. 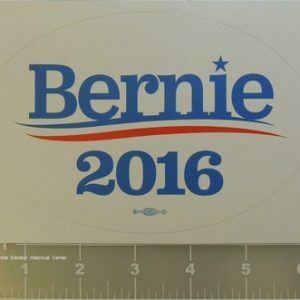 Rectangular in shape, this All-Weather Vinyl Bumper Sticker is a great choice for your campaign. 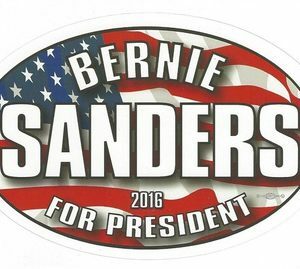 We use the highest-grade materials and each Trump Sticker is 100% Made in the USA.